I’m starting to believe that the biggest obstacle to increasing trust in business is the conceptual confusion that exists around trust itself. We literally cannot agree on what we are talking about. Apparently issues of trust and integrity in business are institutional. Apparently issues of trust and integrity in business are personal. Well, Mr. Doty – which is it? Is integrity an issue of institutions, or of personal character and ethics? Does it depend on whether the business in question is an accounting firm? If so, why? And above all – what problem are we trying to solve here? Because the solutions are very different. You can’t expect a decent solution if you can’t first decide which problem you’re trying to address. The right answer, had anyone asked Mr. Doty, should have been, “Both – and here’s how they fit together.” But this rarely happens; instead, too many business speakers on trust blithely go on talking about very distinct problems as if they were one. No wonder we make so little progress. Principle 1. Integrity and trust must be personal traits: Citizens United notwithstanding, human beings do not “trust” policies, regulations, or ultimately even audits. 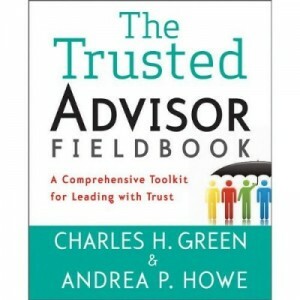 They trust – or do not trust – that people are acting in trustworthy ways. The role of regulations et al is to articulate boundaries and principles underlying that behavior. This principle is violated by focusing solely on rules and regulations, as if the regulations were a substitute for management itself. The result is what we see in the financial industry – a morally bereft place that confuses ethics with cat-and-mouse games. The regulators (and the auditors too!) are as much at fault as the regulated, because they focus only on the behaviors – not on demonstrated lack of character. Principle 2. Integrity and trust are greatly influenced by corporate environments. If unethical behavior is tolerated, of course it will increase. But the same is true if unethical behavior is simply treated as a cost-benefit calculation. And if ethical behavior is not modeled, people will (rightly) conclude it’s all hypocrisy. This principle is violated by a calculus of economically matching the punishment to the crime. Industries who cynically compute violations as analyses of the cost of doing business are at fault, but even more so are regulators and legislators who set up that system. It is also violated by managers and leaders who don’t walk the talk. All corporate “values” lose their juice if not modeled; but in no case is this more important than in trust. 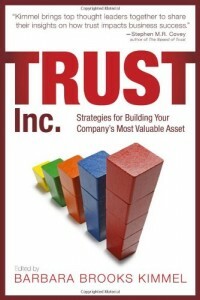 Trust in business rests on trust-based organizations. Trust-based organizations are organizations in which people a) trust others, and b) are themselves trustworthy. Organizational policies which encourage personal trusting and trustworthiness help create trust. Organizational policies which eliminate personal responsibility and risk-taking destroy trust. Management structures and policies which enforce accountability for trust-based behavior – including disproportionate sanctions for violations – are necessary. Management-by-policy-alone, however, is defaulting to mistrust. Trust is both personal and institutional: but it’s critical to get the interface right. It starts with simple, clear thinking.